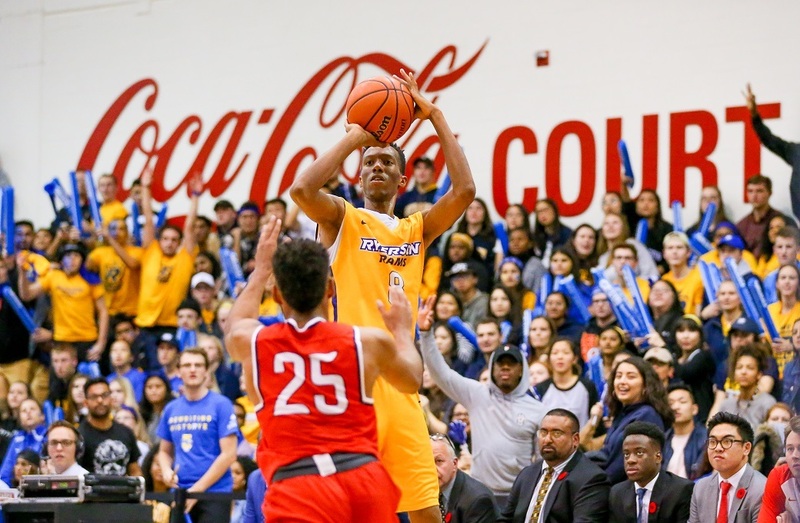 The Capital Hoops Classic takes centre stage Friday night as the men’s and women’s basketball teams from crosstown rivals Carleton and Ottawa face off in a pair of Top 10 matchups. In men’s action, it’s the No.2 Carleton Ravens (17-1) against the No.6 Ottawa Gee-Gees (13-5). 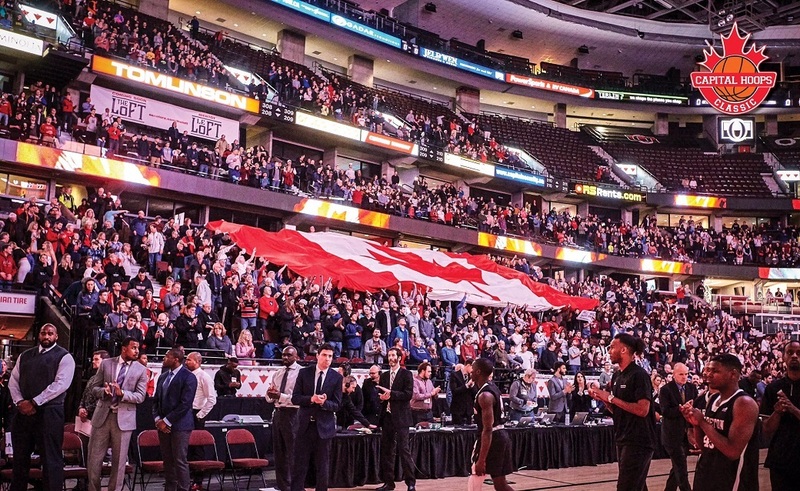 In three of the past four years, the attendance has topped over 10,000 spectators, highlighted by a U SPORTS record 10,780 in 2015. Carleton is fresh off of a loss to the Ryerson Rams, who overtook their No. 1 ranking for the first time since Feb. 16, 2016 – breaking a string of 39 weeks at the top for the Ravens, who will be seeking some redemption when going up against their neighbourhood rivals. As for the women, it will be another tight matchup as both teams have similar records with the No. 6 Ravens sitting at 15-3 and the No. 3 Gee-Gees at 16-2. A win by Carleton can see the tables turned fairly quickly. The Ravens own the all-time Capital Hoops Classic record in both genders, with the men leading 10-2 while the women are 8-3 in the series. Tip-off goes at 6:00 p.m. ET / 3:00 p.m. PT with the women’s game followed by the men at 8:00 p.m. ET / 5:00 p.m. PT on OUA.TV. Another unique contest is scheduled for Saturday as the UQTR Patriotes host the Carleton Ravens outdoors in Saint-Tite, Que. The game is part of the QMJHL’s Winter Classic, which will see the Shawinigan Cataractes face off against the Quebec Remparts and Rimouski Oceanic in the elements to celebrate the league’s 50th anniversary season. Meanwhile in Canada West action on Tuesday, the Calgary Dinos swept their crosstown rivals, the Mount Royal Cougars in the Crowchild Classic at the Scotiabank Saddledome, home of the Calgary Flames. In front of 11,490 spectators – the third largest for a U SPORTS regular season men’s hockey game – Riley Sheen sealed the victory in dramatic style by scoring with 3.3 seconds remaining to beat the Cougars 2-1. The No. 6 Dinos have now won four straight Crowchild Classics at the Saddledome, including three in double overtime. In the women’s game, Kelsey Roberts made 26 saves as Calgary beat Mount Royal for the second straight year and third time this season. It's a battle between two of Canada West's best this weekend in men's volleyball, as the No.4 Trinity Western Spartans head to Calgary to face the No.3 Mount Royal Cougars. The Spartans are coming off a weekend split against the UBC Thunderbirds – who beat them for the national title last season. It was a rare loss for the Langley, B.C., side who have a 12-4 regular season record. Mount Royal has the one game upper hand, though, with a mark of 13-3. Both sides are also home to some of the conference's top talent currently (and unsurprisingly), with the likes of Cougar Tyler Schmidt, who leads the conference in kills per set with 4.65, compared to the Spartans’ Erik Loeppky who leads the conference with a .468 hitting percentage and 0.64 service aces per set. The teams last met in mid-October for the Blue Team Cup preseason tournament, which Trinity Western won handily 3-0. That said, the Cougars are currently on a six-game win streak. First serve of the weekend series goes 10:00 p.m. ET / 7:00 p.m. PT on Friday on CanadaWest.TV. Curling is a Canada West sport again, returning for the first time since the 1980s. Alberta, the defending men’s and women’s national champions will play host to the event this weekend at the Saville Community Sports Centre in Edmonton. Although curling has had a national U SPORTS championship in partnership with Curling Canada since 2007-08, it hasn’t been a formal Canada West sport since 1980-81 for the men and 1983-84 for the women. This year’s U SPORTS championship will be hosted by UNB from Mar.15-19 at Willie O’Ree Place in Frederiction, N.B. Meanwhile, a pair of other conference championship will be taking place this weekend. The Montreal Carabins will hosting the RSEQ swimming Championships at CEPSUM, while Ontario’s top wrestlers are set to face off on the mat in the OUA Championships in Guelph, Ont., at the Gryphon Athletic Centre. The hosts will be looking for some vengeance after taking home bronze last year, behind the reigning champion Brock Badgers, who have continued to dominate the U SPORTS rankings this year. The two sports will kick off the U SPORTS Winter Championship Season, with UBC hosting swimming and the University of Calgary hosting wrestling from Feb. 21-23. Guelph is hosting the @OUAsport Wrestling Championships this Saturday Feb. 2nd in the Guelph Gryphons Athletics Centre!